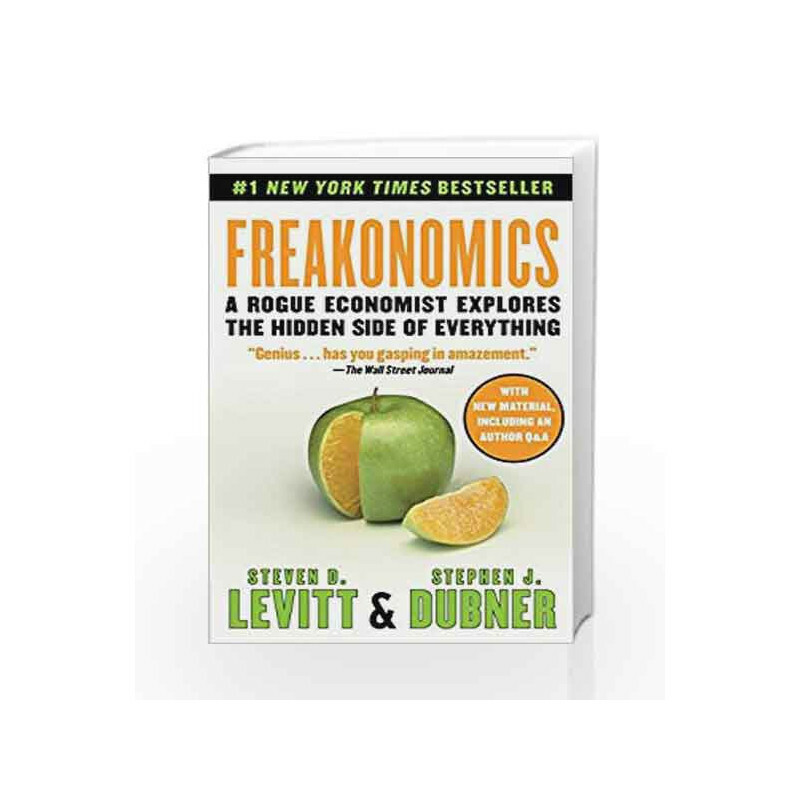 The book, 'Freakonomics: A Rogue Economist Explores the Hidden Side of Everything is an interesting book that combines the theories of economics with everyday issues and topics and presents a series of fascinating exercises that are engaging. Written by Stephen J. Dubner and Steven Levitt, this book provides a unique take of various things that we face every day. It has been published by William Morrow publications in the year 2013. This book became popular thanks to its unique narration style that presented the complex economic concepts using conventional humour and everyday wisdom. This book is written in the format of essays that cover economic issues and dissect how they are connected with everyday life. There are total 6 essays in the book. The first chapter deals with the issue of cheating and uses the example of sumo wrestlers. The second chapter deals with real estate agents and their practice of information control. The third chapter is about drug dealing which has been explained in an unconventional manner. It talks about the life and earnings of cocaine dealers and the low wages that they earn. The fourth chapter deals with the topic of abortion and talks about how abortions have helped in reducing crime rates. The fifth chapter is about parenting and education. The sixth chapter sheds light on the issue of naming children and the socioeconomic patterns related to it. The book uses interesting methodologies to put forward its teachings and often takes unconventional stands. About the author Steven Levitt is a famous economist who is popular for his work on crime and abortion. He was included in the Time magazine's list of '100 People Who Shape Our World' in 2006. He was also with the John Bates Clark Medal, which is offered by the American Economic Association for being the most promising U.S. economist under the age of 40. Stephen J. Dubner is a popular journalist and is well known for his work on pop-economics books. He completed his education from the Appalachian State University and Columbia University. He was one of the short-listed candidates for the Financial Times and Goldman Sachs Business Book of the Year Award. The book, 'Freakonomics: A Rogue Economist Explores the Hidden Side of Everything is a very interesting read for anyone who wants to know about the complex principles of economics. This book is easily available online for convenient shopping. You can bag this book from Amazon.in today by following a few easy steps. Freakonomics: A Rogue Economist Explores the Hidden Side of Everything Book is not for reading online or for free download in PDF or eBook format. 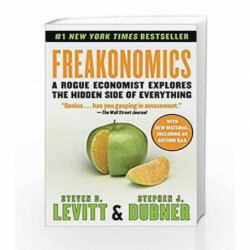 Table of Contents,Index,Syllabus,summary and image of Freakonomics: A Rogue Economist Explores the Hidden Side of Everything book may be of a different edition or of the same title.